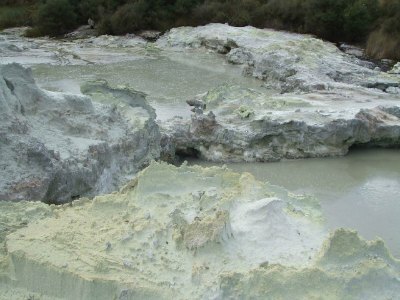 Sulphur Rocks at Rotorua's Hells Gate. Can you see the chalkiness? Having checked it out for myself again recently, (it's not like we go to these places every day you know) I was pleasantly surprised. The landscape, formed about 10,000yrs ago is a good version of what hell would look like except that it's not dark enough and it doesn't belt out flames of fire which is how I envision hell to look. Our hell is mostly a muddy, greyish landscape, with relief found only in the inky blackness of some pools, or with patches of sulfurous yellow rocks and burnt orange ground. I didn't realise how I was taking this in until I happened to lift my eyes and was surprised at the green of trees on the horizon and the blueness of sky. There is a LOT of thermal activity going on here and, as I found out, it's the most active thermal area in Rotorua. I believe it. People are quirky aren't they, because I had to laugh when I looked over and saw this Hells Gate warning sign. You have to wonder if anyone has tested it. Persons who throw litter or stones into the thermal pools may be asked to retrieve them. 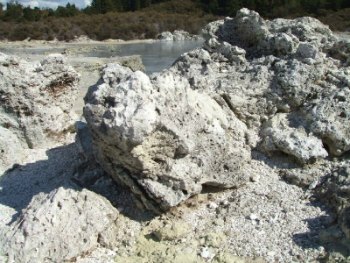 The Hells Gate Rotorua terrain is varied with different points of interest along the way. These are set out on descriptive signs, as above, telling the story about the particular sight. The imagination can run riot with names like Devil's Bath, Ink Pots, Inferno Pools, Sodom and Gomorrah, Devl's Cauldron, Sulphur Crystal Valley and Mud Volcano don't you think? The Mud Volcano is still growing, currently about 2.4 meters high. Take the Mud Volcano as one example, this is an interesting beastie and the only one you will find in any New Zealand reserve. 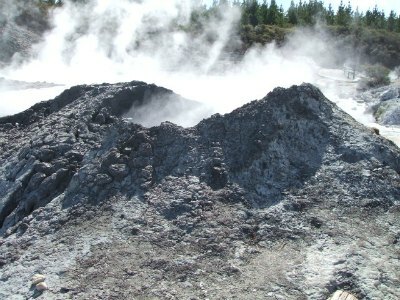 It erupts about every 6 weeks, mostly at night (phew), when the top hardens and the pressure seeks release. Boom. Mud everywhere. Hells Gate is the only site currently owned by Māori, specifically the Ngati Rangiteaorere people. They used the waters for cooking, bathing and healing. After battles the men would seek relief by bathing in the warm waters of the Kakahi Falls, the largest hot water falls this side of the equator. Early European tourists also used the waters for the healing and relief of rheumatism, arthritis, muscular ailments and skin diseases like psoriasis. Today people still seek out thermal waters and treatments because of the sense of well-being that is engendered. There's an opportunity to bathe your feet in a genuine, squishy Rotorua mud pool which you must to take advantage of. Even though it's only your feet, you're left feeling refreshed. Deeper into the reserve you can rub some of the mud on your hands, leave it for a bit to soak in and wash it off further along the track. 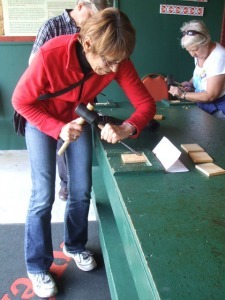 Just before leaving the Hells Gate park there is a place where you can stop off and try your hand at carving. 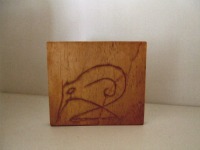 ... and the little kiwi carving is my result. Cute huh? It's rough as guts actually, that's why I made it a small pic. :) Only in Rotorua. Yes, apart from everything else you can also have a thermal mud bath and Spa (thermal) bath - a link to pricing is further down. From some of the reviews I have read about the mud bath some people were not happy with the level of the mud eg. 3" deep and not very warm and yucky (it's a MUD bath for goodness sake) so if you are thinking of trying it, query and check it out physically first. You can also tell the staff to top it up. People also complain about being asked to get out after 20min but there's a very good reason for that. The mud retains heat and once you are coated in it the body pores open up 100%. Result? Our blood pressure goes up. Too long like that could get dangerous so 20min is quite enough thank you. If pregnant the time is probably even shorter. The mud bath is followed by a cold shower to bring the body temperature back down and then it's into the spa pool to sit back, wallow and enjoy the Hells Gate rock formations. Hells Gate Rotorua also offers ½hr or 1hr 'Wai Ora' full body massage and mud therapies, facials and scrubs. Something to keep in mind is that this is not a Luxury Spa. No glitz, no glamour. Just an authentic experience with mud bucketed from the park probably that very day. You can also purchase Hells Gate's very own 'Alite' mud products from their retail shop. 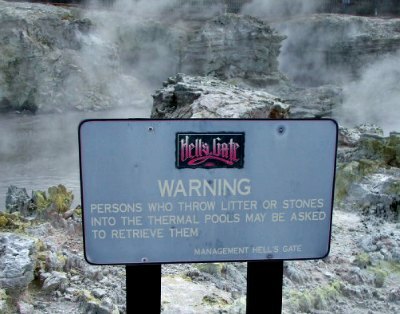 Cost: Entry to Hells Gate Rotorua starts at NZ$35.00 and from there it's all up depending if you want to add on a mud bath, thermal spa bath or massage type treatments. View full list of current prices and packages. Get onto Te Ngae Rd heading out of Rotorua and drive for about 10min until you get to the Whakatane, SH30, turnoff. Turn right and proceed for about 4km. Hells Gate is on the left at the beginning of a bend on the highway. A shuttle is available with quite a number of pick up points in the inner city. The ride can be free if you pay for multiple activities. 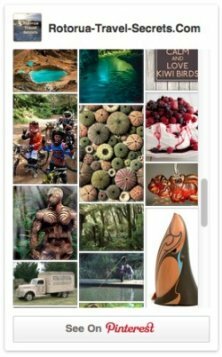 That can include entry to the park and a Mud Bath Spa or, entry plus have a massage or other treatment. Otherwise it's NZ$10. 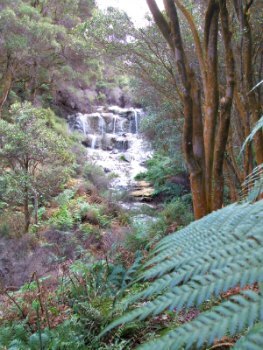 You can also view the google map directions to Hells Gate Rotorua. Food and liquid beverages are available throughout the day at the onsite Volcanic Cafe. On the day I was there it was a bit of a sad looking selection, not much on view at all. It may be that it was in the middle of winter and summer could be a whole different ball game. A small parking area is available right outside the the Hells Gate Rotorua park otherwise people park on the sides of the road. One thing to be aware of is that this attraction is on a State Highway so traffic is moving fast - 100kmh speed limit. Be careful with any manoeuvring. Toilets are located at the entrance to the park in the main building. 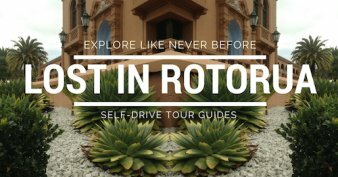 There is nothing in the park itself so if you need to go… or even if you don't you better. An hour or more can be a long time. All ages and that goes for the park and the spa and mud baths. From watching a family going through the park at the same time as myself, young children could probably get bored pretty quick. Yes, swimming gear can be hired along with towels for a small fee. In fact, it might be a good idea to do just that as the sulphur will make them reek for ages afterwards. 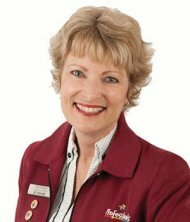 Is Hells Gate Rotorua wheelchair friendly? It is a bit rough with an incline in parts. If you're reasonably strong it should be okay. Ask them for a test run if you are not sure. To get around the park would take about 45min to an hour. Even longer if you want to take lots of photos.